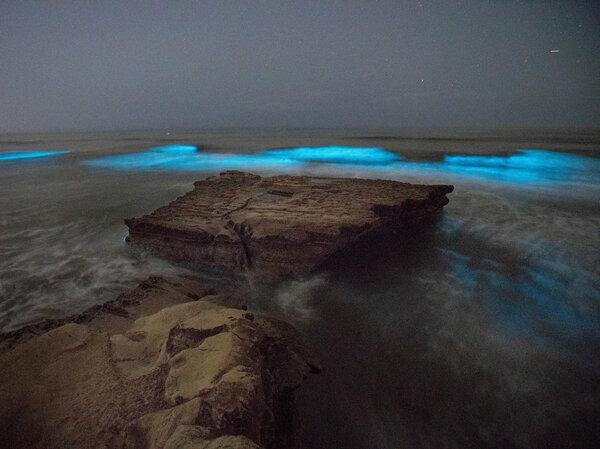 Bioluminescent waves crashing against rocks at Torrey Pines State Beach in San Diego, Calif., last month. How I loved the glowing waves we sometimes saw at night in late summer on Fire Island! The microscopic marine organisms that light up when disturbed apparently visit California earlier in the year. “A red tide off the San Diego coast is behind the brilliant display of bioluminescence that is lighting up the water and drawing huge crowds to marvel at the rare phenomenon. “It’s not clear how long the current red tide will last; in some instances they’ve lasted from a week to a month or more. The last red tide in San Diego took place in September 2013 and lasted a full week. 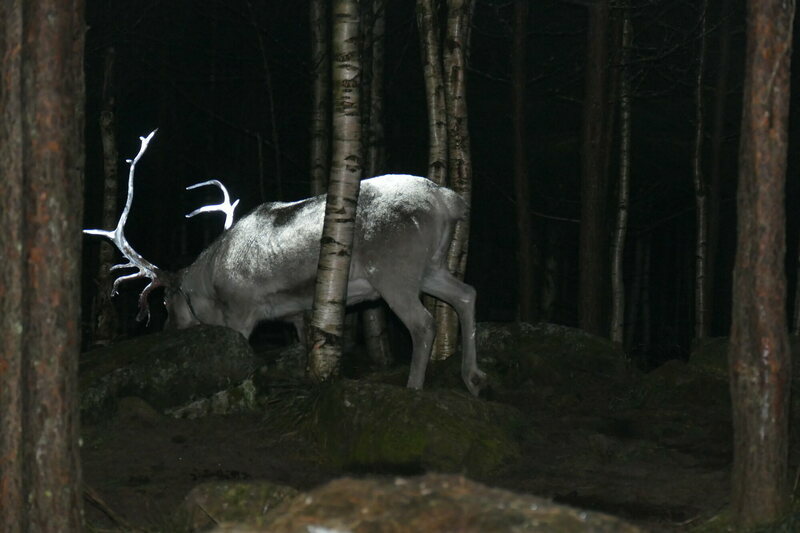 A similar event in October 2011 lasted a month. More here.